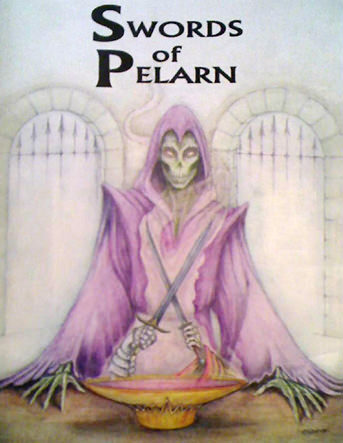 Pelarn has been torn by strife for hundreds of years and the Factions have striven to conquer all. Many have realised that they need allies to succeed and some factions have banded together whilst other have been fragmented in the quest to find allies. Agents of the Empire infiltrated the Knights of the West swinging The Grey and Independent Knights to their vision of a unfied Pelarn. Bereft of their centre ground the Dark and Light Knights have joined those that follow their beliefs, pulling the Gold and Black Dragons apart along their similar divide. The Frostnorth Patriarchy has finally split asunder along Clan lines with the Redtooth following their religious fervour to side with the Pantheon and Moonhunt following their secular leanings to conquer and rule Western Pelarn! In this SOP variant players pledge to a Faction `Coalition’ (a pair, or trio) of factions. (See below). The Victory Conditions (VCs) will be set to the conditions of ONE of the factions in the coalition (see below). No Astral/Gate victory conditions are in required in this game for any faction. Faction Leader titles and adventures are still active but Faction Leaders cannot invite players to join a faction. This order is suspended. (Players will only ever be members of the Factions in their chosen Coalition). All factions are considered active from game start. In General, your main character must meet the membership requirements for one of the factions in your chosen coalition. Knights of pelarn – need not be a titled member at startup. State on your setup to the GM which order (Dark, Light, Grey, Independent) of Knight’s Guild you intend to join and hence what coalition you are a part of. Strive to join your Knighthood Order and claim membership before six months of play is over. 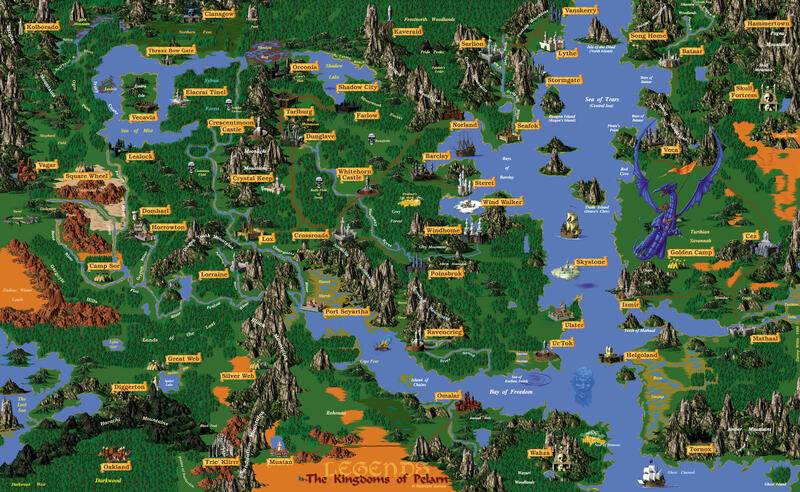 Kingdom of Pelarn – must start with an influence of 5. Dark king – must not be an elf, must have evil religion, priest or necromancer 15. Raven – would be able to start as priests of the raven, but would not gain any spells until such time as the religion is activated. Frostnorth Patriarchy Any Maratasen setup must pre-declare intent to join either the Redtooth or Moonhunt Clans, thereby choosing to be in coalition with either the Pantheon or Kingdom respectively. No unaligned Maratasen setups are allowed. Kings Peace until 3 productions have passed. King’s Peace will be ‘Spirit Based’. 7 day turnaround until 3 productions have passed. Thereafter it will be a 10 day turnaround. Character Rolling Thunder is allowed in this game. Use the rulebook for likely data for weapons, armour, spells and training types. Many items have had their names changed. You may find that an item required in an adventure has had its name changed; though its ID number will not have changed. GMs will not be playing in this game. You all decide whether you want to team up or play individually. You decide which faction coalitions you would most like to play (ranked list of 3 preferences) – or ‘joker’ if you are happy to play in any faction coalition. You tell the GM before the deadline (Noon Sept 19th). The GM works out which faction coalition you are all playing in. The GM informs you which faction coalition you (or your team) are in and forwards the contact details of the others in your faction coalition. You work out your setups and send them to the GM before a second setup deadline which is to be determined by the GM. Game starts within two weeks of that, date of the first production will be set accordingly at this point. The initial pledge deadline has now passed, late pledges are still acceptable, but faction coalition numbers will be balanced, and you may not be able to play the faction coalition you desire. A Joker player gains a mark of Cruelty/Honor/Fate on their main character for Evil/Good/Neutral religion respectively. Many items, spells, statuses and troop types will be manually tweaked to weaken well known paths to power and encourage players to find new ones. One specific note: Status trees previously seen as weak have all had their end status boosted significantly; some lower levels remain untouched. Guilds may be placed in module cities which contain the same race population as the guild sponsor. Overlords and Mercs may place their guild in their start location. No-one may place their guild in an ally’s home location. Setup restrictions as listed in the module (P.103) apply along with any relevant module errata listed below. ‘Premier’ setups for this game may be submitted between now and October 3rd 2016. Anyone who submits precisely one version of their setup during this period will be processed in the first batch of setups. These will all be given a random first turn process date, regardless of setup type. All these first batch are guaranteed to get the same number of turns before the first production. Anyone (apprentices excluded) who needs to submit a revision, or whose setup arrives after October 3rd 2016 will go into a second batch of setups, which will be processed after the first batch and will very likely get one less turn before the first production. Note that resending an identical setup is fine – however you must include the word resend in the title of your email or you may accidentally be treated as having sent in a revision. For all combat clashes you must provide me with the ID of one of your empty forces. You must have set up the slot commanders and retreat percentage yourself. Please activate this force in province (1,1). I will teleport characters in and out of the slots as appropriate. In team events the team leader is responsible for organising this and must send details in a clearly marked separate email. Defaults (where the module is not clear): Healing after rounds. Resurrection after clash if you were alive before it. No curing of poison; stoning or insanity. Magic and mounts are permitted. Apprentices are encouraged to work with experienced players and should be protected from aggression whilst they have the Apprentice title. However, I want experienced players to be aware of the behaviour of any apprentice who is allied to them. The title protects the apprentice because it is judged that they are not that important to the game victory and we can therefore afford to give them extra protection. We don’t want the title and protection it affords to be abused, even if it is accidental by the apprentice (who won’t know the relevance of his or her actions). As such, an apprentice should not engage in player versus player (PVP) activities. Any experienced players who are working with an apprentice should contact me if the apprentices becomes interested in PVP, or seems to be doing well enough that they don’t need the protection of the title. I will agree with the apprentice a time to remove the title, and will permit them to engage in PVP a few turns after that. Joint Victories between faction coalitions are not allowed. All Astral Goal Victory conditions ignored. To declare any victory, no other faction group may control more than 8 module cities. Total Victory: All required Module Cities are owned/destroyed as required, All items and conditions etc…. are owned/fulfilled as required in the module VCs for the good/evil faction in the group. Military Dominance Victory: After all required Module Cities are owned/destroyed/uncontrolled as required in the module VCs for the faction in the group, make a public declaration of intention to claim Military Dominance. If this is maintained for 3 productions (ie a period of at least 2 months play time) after the declaration victory is achieved. This removes the situation of dominating the map and having to item chase for ages, or having to appeal to every other player to concede. The 2 production maintenance period gives any objecting player time to take in game action! All positions will be added to the factions of their coalition at game start, you may not sponsor or be sponsored into other factions. Shadowling Meld and some Victory conditions require a definition of a module location being destroyed. Destroyed is defined as “Currently having no fortifications and having no population”. Rebuilding a location is a valid tactic to forstall a victory. No “secret faction” victories are permitted – the adventures may still be explored. We turn down most if not all “Non Standard” special actions. Be careful of playing any Non standard race – you will likely have less opportunities available to you. Participation in the Meld is now a choice and is performed via the adventures listed below. Note that in SOP27 all players the Golden Horde will have the Shadowling faction membership title and can take part. Once they do they become subject to the restriction of only being able to do Shadowling race adventures. A Golden Horde member may thus start as a race other than Shadowling, do that race adventure but at a later date, meld and subsequently do any Shadowling race adventures. However a starting Shadowling player may only ever do Shadowling race adventures. Once your charcter’s race has been Shadowling at any point, from then on you can only do Shadowling Race adventures. Adventure 10 – in the game month prior to the shadowling meld, do not possess the title ‘Melded’, available 200 times, worship religion 11, convert to race shadowling, teleport to Shadow City, gain life, +1 Priest and the ‘Melded’ title worth + 6 prestige’ for the month (adventure and title are reset at the Shadowling meld). Adventure 11 – in the game month prior to the shadowling meld, do not possess the title ‘Melded’, available 200 times, be race shadowling, convert to religion 11, teleport to Shadow City, gain life, +1 Shadowling Bible and the ‘Melded’ title worth + 6 prestige’ for the month (adventure and title are reset at the Shadowling meld). Adventure 12 – in the game month prior to the shadowling meld, 200 times, be char ID 1-200, member of the shadowling faction regardless of race, convert to race Shadowling, convert to religion 11, teleport to Shadow City, gain life and the ‘Melded’ title worth + 6 prestige’ (adventure and title are not reset for Main characters at the Shadowling meld). Vektricar’s attack in Sylvan forest rebalanced. Speaker of Omens – is given to the Main character who is a Heathen Priest and has the highest combined Priest and Berserker skill (additional berserker requirement allows players some control over who gets the title). Additionally when a Religion is declared ‘Acursed’ by the Speaker of Omens, the Heathen’s diplomacy modifier toward them is set to -999, and that religion’s mana recovery drops by 1 until the Speaker changes the ‘Acursed’ religion (at which point these modifiers are removed). Bible adventures – have been tweaked appropriately. High Priests adding spells to religions are limited to a max of 30 spells for a religion. Change to High priests removing spells – they may only remove spells that do NOT belong to their associated arcane. Adventure 1775 ~ Gain Born again. Be alive, Main character only – once per character, gain a Born again scroll. Lose a Born Again scroll (ID 2776). Lose 2 constitution. Be not laid to rest. Garrison Troops Changed We’ll use the recently standardised Urban and Caravan Militia type status and training types for the purposes of garrisons.